Tower defense is one of those genres I've never fully understood. Sure, I like looking at an open field and deciding how to build a defense that will kill anything that walks toward it. But after all that stuff is built? In most tower defense games, you just sit and wait to see if it works. Orcs Must Die! 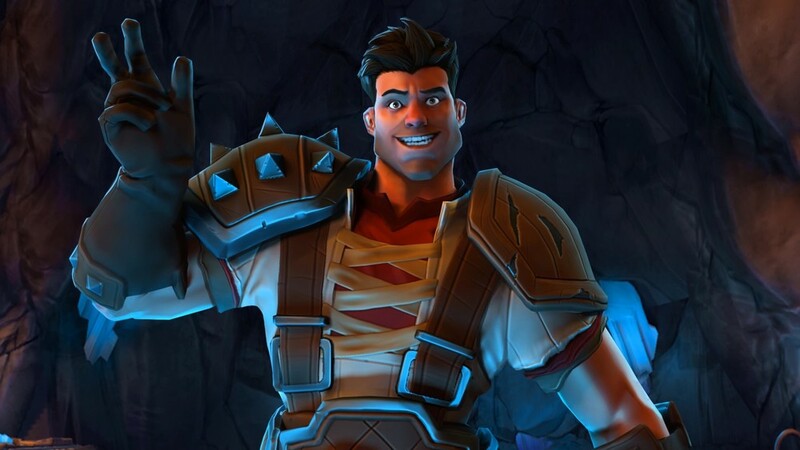 2 takes the tried and true (for some) tower defense formula and makes it roughly 8 billion times more exciting by throwing a third person action game into the mix. The tower defense backbone is still there, but any hole suddenly sprung in your defenses can be plugged with a few shotgun blasts. Orcs Must Die! 2 takes all the waiting out of tower defense games, which must be why I love it so much. In Orcs Must Die! and its sequel, the act of keeping Orcs from escaping the map is more dynamic and malleable. Is one of your tar pits not placed properly? Run over there and lay down the law with your bladestaff. In Orcs Must Die! 2, you are given a bar, from 1 to 0 on the keyboard, in which you can equip a variety of items to keep the Orc onslaught at bay. Items generally fall into 2 categories: stuff that affects the environment, and stuff that affects your character. 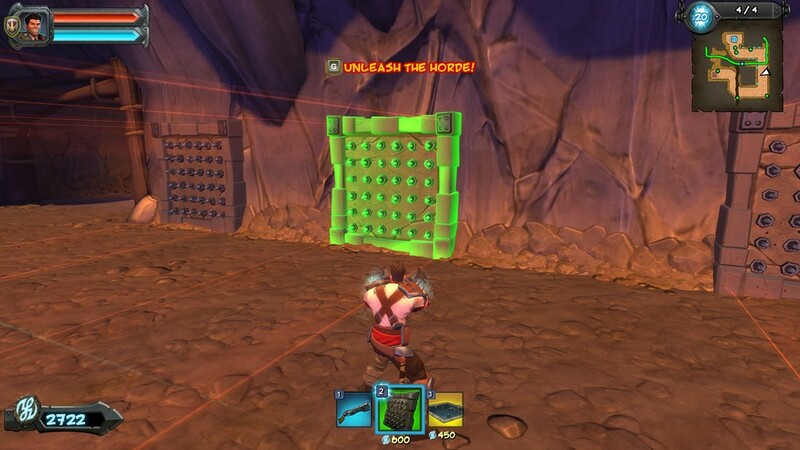 You can choose to go whole hog on traps that you build into the environment like acid spitters, arrow shooters and the like. You can also choose to equip your character with an arsenal of long and short-range weaponry, spells, and defense bonuses. The ideal way to play Orcs Must Die! 2 is with a combination of both: using traps to kill smaller enemies and slow the big guys down until you get close enough to switch to guns. After the loadout is set, you fend off waves of enemies for about 15-20 minutes until the level is completed. Every Orc that gets through, as well as every player death, drains your reserve of "rift points." If you reach zero rift points, you have to try again. Performance on each level is rated on a 5 skull system, and let me tell you, getting a full rating is not easy. Acquiring a five skull rating means completing the level under the "par" time limit, and never losing a single rift point or dying. This is easily done in most of the early levels, but becomes a true status symbol in the second half of the game, which is more ruthless in its level design and the composition of enemies. Skulls also act as a currency that you can use to buy new traps and weapons, or upgrade old ones. 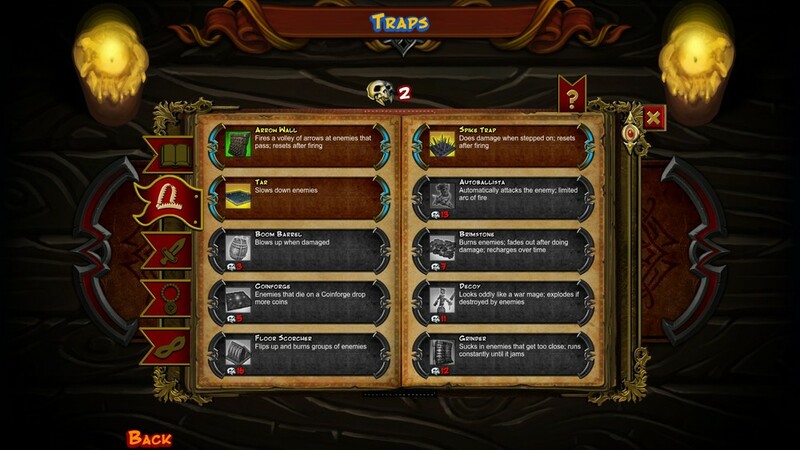 There will be times when you have to replay older levels and five skull them in order to upgrade a trap you need for the level you are currently stuck on. It is really unfortunate that Orcs Must Die! 2 doesn't give the player a preview of what kind of enemies they will be facing in each level. You can only swap out weapons and traps before each level begins so if there is a mass of flying enemies in the middle of the level that you can't dispatch of by yourself, and you didn't include anti-air defenses in your loadout, you're toast. Similarly, you might spend half a level's worth of time (and money) building a massive maze out of wooden barricades only to have a squad of sappers (kamikaze Orcs with explosive barrels on their back) come in and destroyed it all. These are both situations that are nearly impossible to recover from in Orcs Must Die! 2. I understand that learning from failure and adjusting strategy is part of the tower defense genre, but when you are slogging through a level multiple times, it seems like wasted energy. Depending on your strategic planning abilities, the story in Orcs Must Die! 2 will take you about 9 or 10 hours to complete, but that is not where the real meat of the game is. Co-op is where the real party is at. Friends can be invited to story playthroughs at any time to make Orcs Must Die! 2 a co-op game. With the addition of a second player, enemies get a bit more challenging, and inventory size is halved, which makes for some interesting strategic arrangements. Playing with my roommate, we decided that I would be in charge of building barricades to create choke points, while he was in charge of wall traps and other diversions. The already hectic Orcs Must Die! 2 becomes an Olympian exercise in keeping calm when another player is involved. My roommate and I's "inside voices" quickly became panicked shouts up and down the hall as the threats got bigger and nastier. Orcs Must Die! 2 has a cartoony look that fits its sense of humor well. The Orcs are constantly sporting oafish looks on their faces (see above), and utter some pretty hilarious stuff when decapitated, incinerated, impaled, or frozen. Enemies big and small have a unique look to them, which makes it easy to glance at an upcoming mob of Orcs and decide where to concentrate fire. If our review scale was based on how wide I was grinning while playing the game, Orcs Must Die! 2 would get a, "all the way across my face." The cartoony look and humor work in concert with the violent, frenetic action and strategy elements to create an experience that is half critical thinking, half pure adrenaline rush. A typical level in Orcs Must Die! 2 will take you from laughing, to having a white-knuckle grip on your mouse and keyboard, to exclaiming, "how am I supposed to kill this thing? ", to exhaling a sigh of relief as the last Orc falls. Oh, and did I mention that the soundtrack is full of epic medieval metal music? There is a reason Steam sells this game with a two-pack option. For my money, there isn't a better PC game to play through with a friend right now. Orcs Must Die! 2 perfectly combines the strategic thinking of tower defense games with the frenetic action of an old-school shooter, with plenty of laughs along the way. The later challenges are difficult to overcome by yourself, but comically violent Orc deaths are best savored with a friend anyway. Borderlands 2 addresses every single complaint I had with the first game, and is better in every possible way (except, maybe put a scroll of town portal in Borderlands 3?). But going so far to specifically address fan concern robs Borderlands 2 of any surprises. The bottom line is, if you want to play an action-RPG that is easy to get into, rewards skillful play in higher difficulty levels, and lets you easily play with your friends, Diablo III is a game that you absolutely cannot miss.